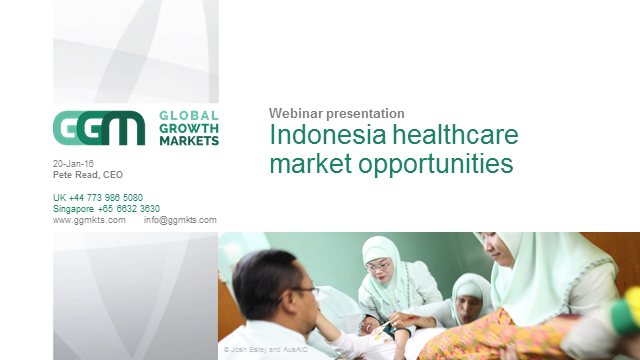 Watch our latest webinar on the Pharmaceutical & HealthCare Marketing BrightTALK channel: Global Growth Markets CEO Pete Read talks about Indonesia’s healthcare market fundamentals, the challenges faced, improvements in progress, how technology can help and opportunities for investment. Extend your e-detailing and closed loop marketing, keeping representatives and healthcare professionals in close dialogue. The media has an insatiable appetite for stories about how science and discovery is saving, improving, and extending people's lives. Outreach, story development, case studies, content marketing, social media programs, etc. are critical to creating customer awareness and driving drug sales. Will show you how you can use simple analytics to track and manage media benchmarks for your drug brands, competing brands, and the diseases and health care issues afffecting your market. Set your PR compass for success. Learn how you can use earned media analtyics to get practical, valuable, actionable insight into your brands' health and your PR outreach. Pete Read from market information firm Global Growth Markets outlines the current situation in China's private hospital sector, government reforms and opportunities for investment. Making the Impressional Personal: Best Practices for Customizing Non-personal Promotion. Interview with Darshan Kulkarni, Leif Goranson, Tom Jones. December 4, 2015 Philadelphia. By Pharmaguy John Mack. Pharmaguy's point of view regarding pharma mobile medical apps -- especially apps designed to be used by physicians as aids to diagnosis. There's a need to self-regulate - i.e., create standards of practice - regardless of possible FDA regulations. All the best from the pharmaceutical industry.